Click on the article to zoom in. Click on the browser back button/arrow to go back to our page. Project underway. We are >80% of the way there. Local Radio Presenters Nigel Pearce (and Rock the Lobster Open-Mic/Live Music committee member, Sheringham, Norfolk) and Alan Thompson have just completed the first programme of a two part series of unreleased music from the greatest of all bands, The Beatles. Titled Unreleased and Alternate, the programme contains many gems from the early part of The Beatles career, commencing with their version of How Do You Do It, right through to Yellow Submarine. This project has required some length in organisation, but the end result has made it totally worthwhile said Nigel. 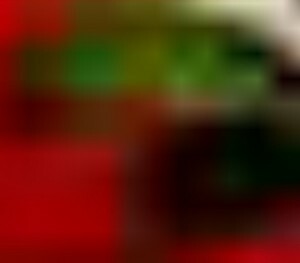 Tracks such as Bad To Me, (A hit for Billy J Kramer, but never heard by The Beatles) were aired along with alternate versions of And I Love Her, No Reply, and Eleanor Rigby. Alan Thompson also added that the Stereo versions never heard before of Long Tall Sally, Thank You Girl and You Know What To Do (a demo from With The Beatles period), are priceless unheard gems that truly do deserve to be released as the finished quality is superb! Add to that the other tracks, it makes for a stunning new album the world would surely like to see, they both confirmed, noting that a project and broadcast such as this has not been aired since 1969 when Radio 1 broadcast Scene and Heard in October of that year reviewing the then up and coming Beatles album Get Back, which in 1970 became their last studio release Let It Be. 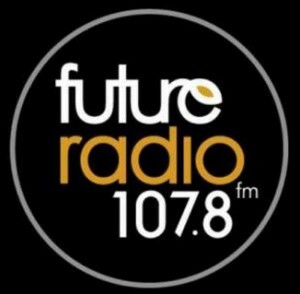 The programme will be broadcast shortly on Future Radio 107.8FM and part two is being recorded next week at Future Studios in Norwich. Fan Clamour in The Beatles is still worldwide and huge they both continued, and interest has already started to reach much further afield than Norfolk. Yes, Norfolk has under its belt another slice of history that is absolutely priceless!! Just Sheringham – January 2015. 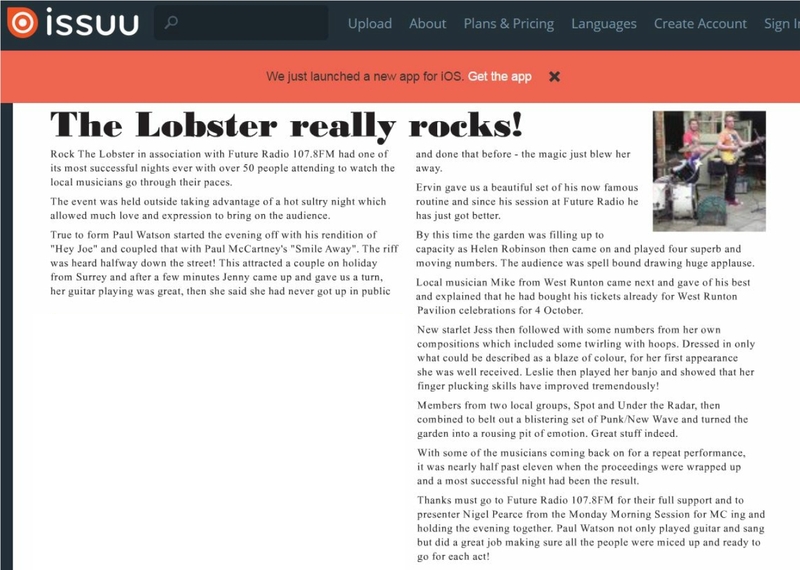 We were so excited about the sponsorship deal and we made a couple of mistakes in the article! Our new sponsor is Newbarn Ltd (a company associated with the Blue Pits Housing Action charity) and they are based in Rochdale. Our apologies. 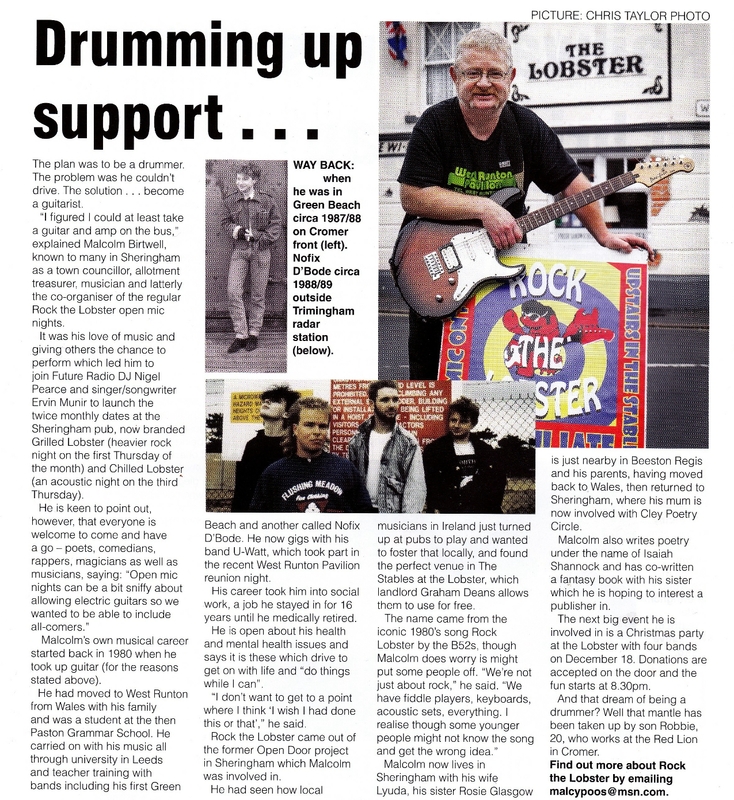 The money will enable us to continue staging live music (and other performances) open mic and concert events in Sheringham and the surrounding areas. 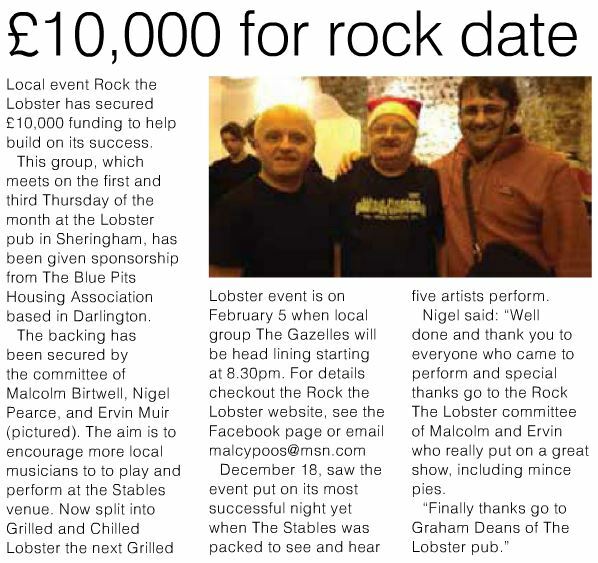 It will also fund some exciting Rock the Lobster projects.